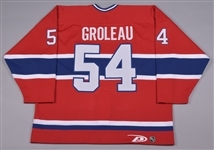 A regular with Adler Mannheim of the DEL in the early-2000s, Francois Groleau spent only parts of three seasons in the NHL with Montreal, appearing in just 8 regular season games. We have a Canadiens jersey that was issued to the Longueuil native in 1999-00. A Pro Player label along with a “58” size tag remain affixed to the collar, with embroidered Pro Player and NHL crests on the back bottom hem. 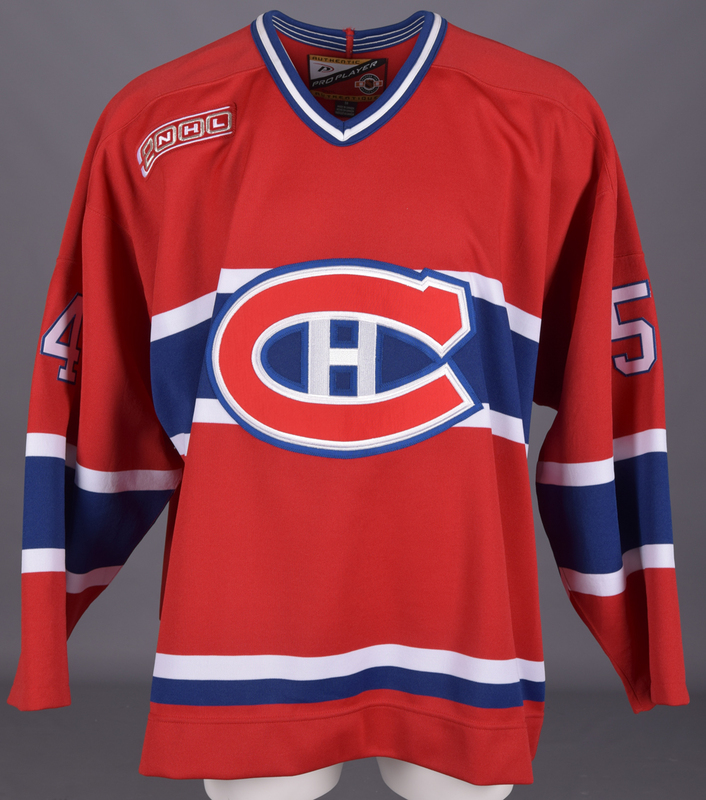 Styled with the most famous team crest in hockey, the red V-neck has been accented with dual-colour tackle twill sleeve and verso numbers, with the NHL 2000 crest over the right breast. Issued but never worn, the jersey remains in wonderful condition. A team LOA will be included, signed on behalf of the Canadiens by Rejean Houle.